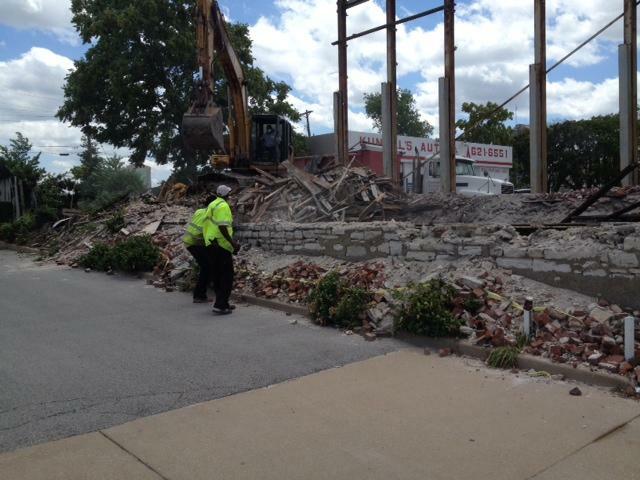 The long-delayed NorthSide Redevelopment project in St. Louis took a step forward Monday. The Missouri Department of Health's Facilities Review Committee granted a certificate of need for a three-bed urgent care hospital that's part of developer Paul McKee's master plan for the overall project. No one spoke in opposition to granting McKee a certificate of need during the committee's meeting, and the vote in favor was 7-0. The facility is to be built at 25th Street and Maiden Lane. 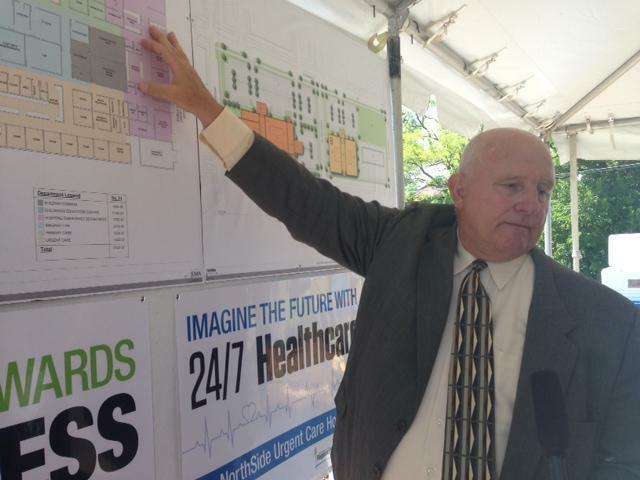 Developer Paul McKee unveiled plans Wednesday for an urgent care facility on the north side of St. Louis, but questions at the press event turned to the lack of infrastructure projects in McKee's massive, 1,500 acre redevelopment area. A new urgent care hospital is planned within the Northside Regeneration project in north St. Louis. Developer Paul McKee will announce plans Wednesday for the first big project within the 1,500-acre footprint of the redevelopment zone. Mayor Francis Slay, state Sen. Jamilah Nasheed and state Rep. Penny Hubbard are expected to attend. Although nothing official has been released, people close to the project say the facility will likely be about 16,000 square feet. 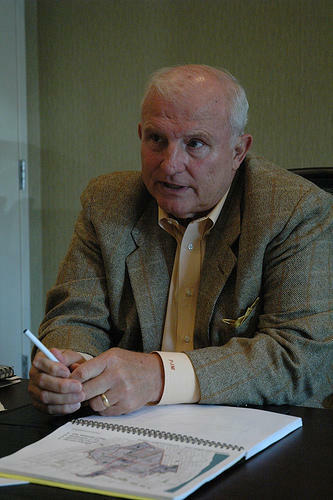 Developer Paul McKee has two weeks to reimburse the city of St. Louis for legal fees associated with his Northside Regeneration project. The city’s Board of Estimate and Apportionment voted Wednesday to give McKee until April 30 to pay approximately $57,000 in legal fees. That money is associated with a roughly three-year legal battle over McKee's proposal to redevelop portions of north St. Louis. This article first appeared in the St. Louis Beacon: Without any debate, the Board of Aldermen gave its final blessing, by a vote of 21-3, to legislation kick-starting tax increment financing for developer Paul McKee’s NorthSide Regeneration project. It’s a move that finally ends a legislative process that began exactly four years ago -- in October 2009 -- when the board approved bills for the first two phases of the redevelopment plan. Slowly but surely, developer Paul McKee’s plan to make over a large section of the city of St. Louis is again coming to fruition. The legislation approved by the city’s Housing, Urban Development and Zoning committee today authorizes additional tax incentives for McKee’s NorthSide Regeneration Initiative, and restarts the development clock for the entire project. The vote was delayed by a day after some members of the committee did not show up in order to deny a quorum. Big political weight was behind two NorthSide Regeneration bills that went before a St. Louis aldermanic committee Tuesday morning, but no vote was taken after four aldermen failed to attend. 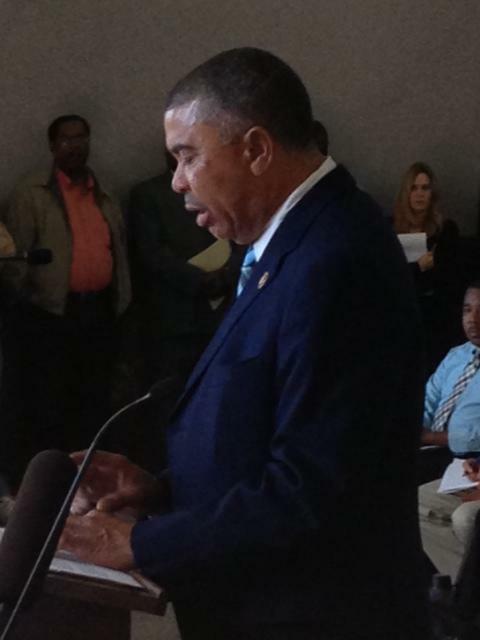 This article first appeared in the St. Louis Beacon: When U.S. Rep. Lacy Clay introduced Mayor Francis Slay at his fourth-term inauguration, the St. Louis Democrat pledged to help make "the NorthSide Regeneration project a great success." 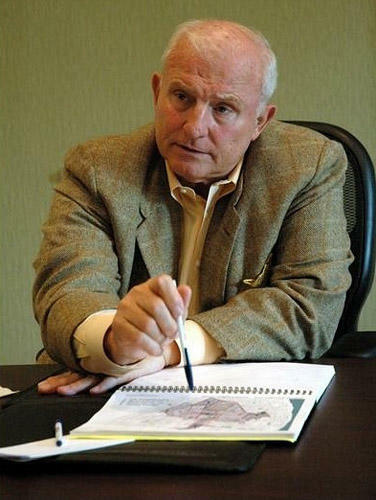 Clay called developer Paul McKee’s controversial and long-delayed plan "an opportunity to infuse millions of dollars in job-creating developments into a neighborhood that has been disinvested, underserved and under-appreciated for decades." Legislative hearings get underway next week on the measures that could finally lead to the start of Paul McKee’s massive redevelopment project for north St. Louis. A court case held up the $8.1 billion project for three years. The measures up for debate would give McKee access to an additional $192 million in tax assistance, and restart the project’s clock. Mayor Francis Slay and Congressman William Lacy Clay are both expected to speak in support at Tuesday's hearing. This article originally appeared in the St. Louis Beacon: Is the end near? The approval process for developer Paul McKee’s Northside Regeneration Project may be winding to a close. Only a few official steps are left, and one of them is today. 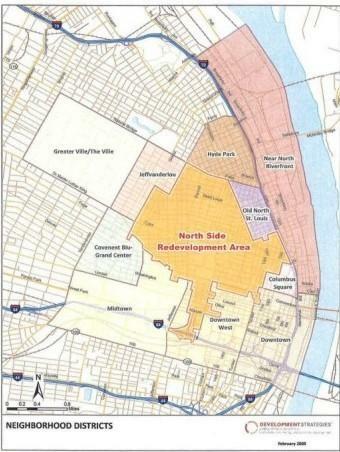 This article first appeared in the St. Louis Beacon: Paul McKee’s Northside Regeneration Project cleared another hurdle Wednesday after the St. Louis TIF Commission approved a measure to jump start the controversial and long-delayed proposal. 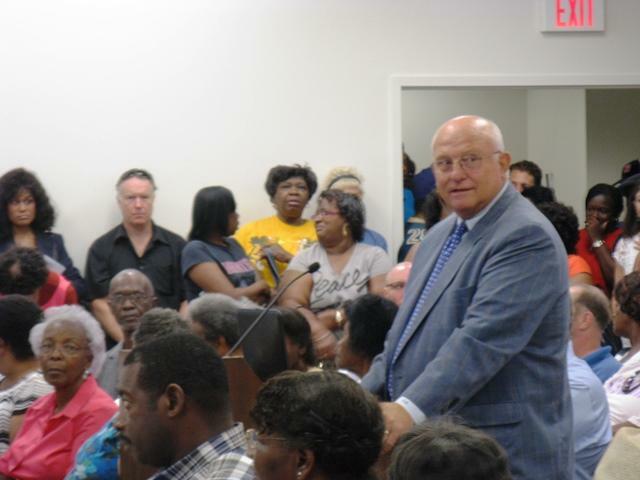 This article first appeared in the St. Louis Beacon: It was a standing-room-only public hearing on the long-delayed Northside Regeneration Project, with plenty of people eager to give their views. The hearing was, though, the first step toward “starting the TIF clock” on two areas of the project, so no votes were taken. The TIF Commission will decide whether to recommend approval of the proposal at its Sept. 11 hearing. Legal Roundtable: Marathon Bomber, Blood Alcohol Test, TIF, Etc. Legal questions surround the arrest of Dzhokhar Tsarnaev, the suspect in the Boston Marathon bombing who was captured on Friday. What is the role of the public safety exception as it relates to Miranda rights? Were civil rights violated as a result of the lockdown? Should Tsarnaev be tried as an enemy combatant as some Republican legislators have suggested? The questions surrounding the surviving suspect of the Boston Marathon bombing were discussed by a panel of legal experts, as part of our monthly legal roundtable discussion. 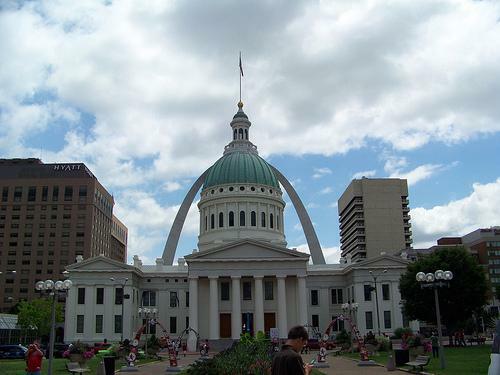 This article first appeared in the St. Louis Beacon: The Missouri Supreme Court cleared the way for developer Paul McKee to use $390 million in tax increment financing to redevelop two square miles of north St. Louis.